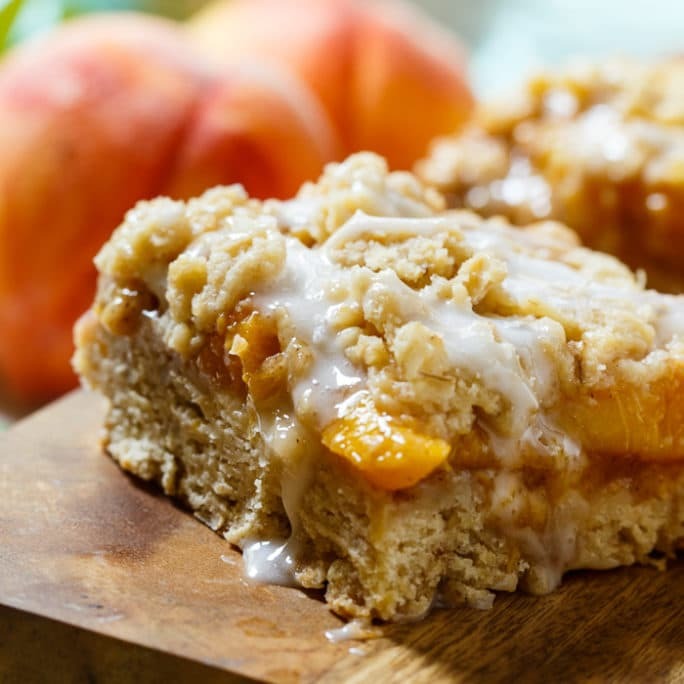 No need to turn on the oven for these super creamy and rich No-Bake Peach Cheesecake Bars. 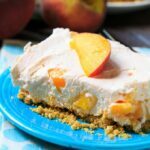 They have a graham cracker crust topped with a no-bake cheesecake filling flavored with both peach Jello and fresh, diced peaches for tons of summer peach flavor! With the temps reaching into the mid-90s, there’s no way I’m turning on the oven to bake a dessert. I’ve been craving cool and creamy desserts like this one. For the filling I use a mixture of Neufchatel cheese and cream cheese to help cut back on the fat some but still have it be plenty creamy and rich. You could use all one or the other. 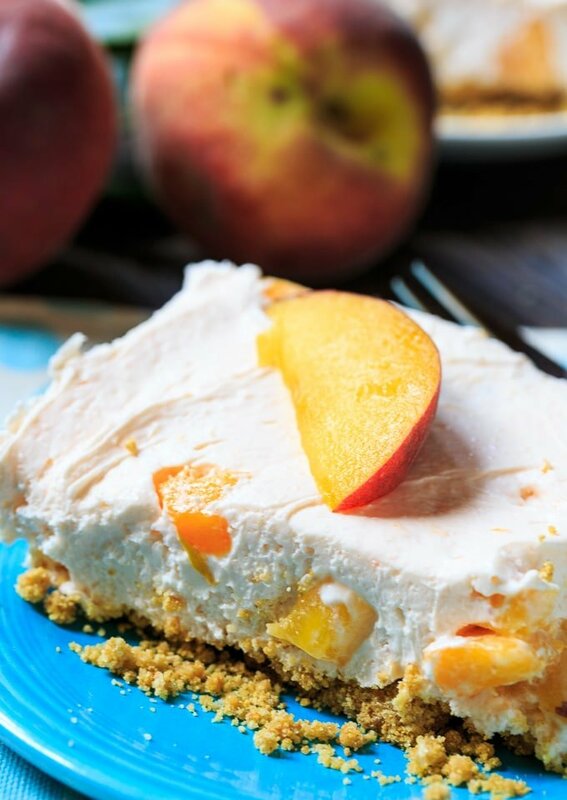 If you want to make this dessert when peaches aren’t in season, just use frozen or canned peaches and you can enjoy No-Bake Peach Cheesecake Bars all year long! 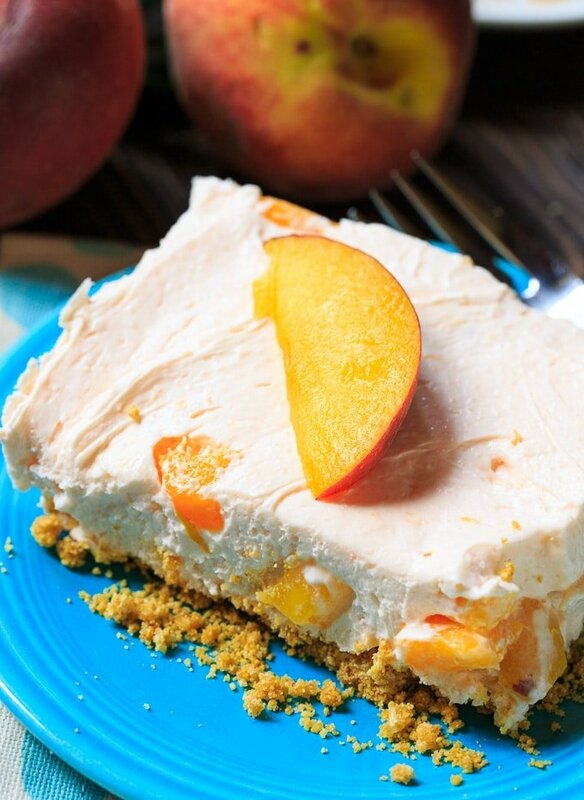 No-Bake Peach Cheesecake Bars have a graham cracker crust topped with a no-bake cheesecake filling flavored with both peach Jello and fresh, diced peaches. Mix together graham cracker crumbs, melted butter, and 1/4 cup sugar and press mixture into the bottom of a 9X13-inch pan. Refrigerate until ready to use. Using an electric mixer, beat Neufchatel cheese, cream cheese, and remaining sugar until smooth. Add gelatin (dry mix) and beat until incorporated. 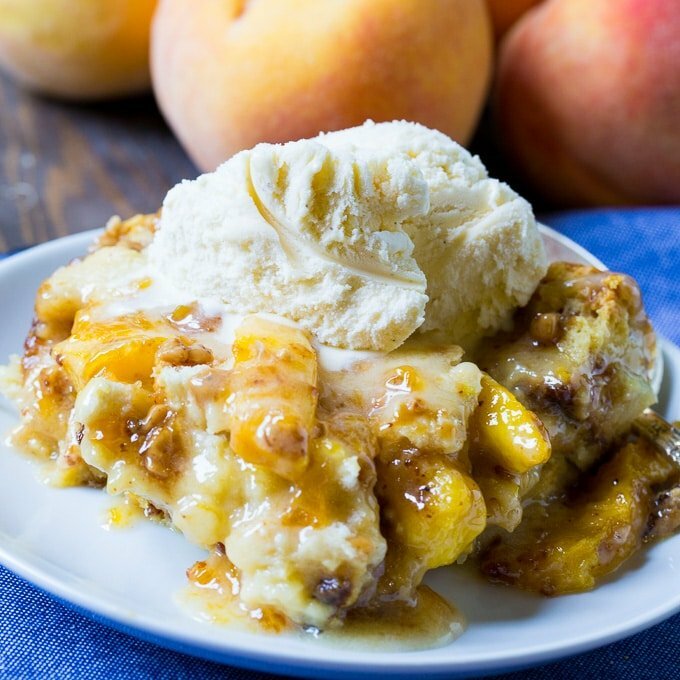 Stir in Cool Whip and peaches. Spread mixture on top of graham cracker crust. Refrigerate for 4 hours before slicing. 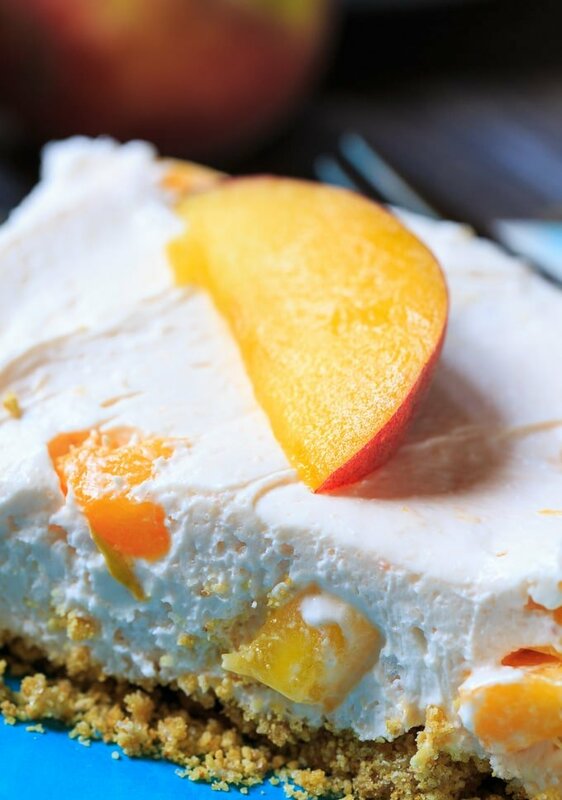 This entry was posted in Desserts and tagged cheesecake, no bake, peaches. Bookmark the permalink.